Babies Need Words Every Day Blog Tour! Use a great resource like Jbrary to learn new songs to teach your patrons. Sing a familiar song to a different tune. One of my favorites tips I’ve ever learned was from Melissa — you can sing the ABCs to “Mary Had a Little Lamb” to break up the potentially problematic LMNOP! Host a Music and Movement program. 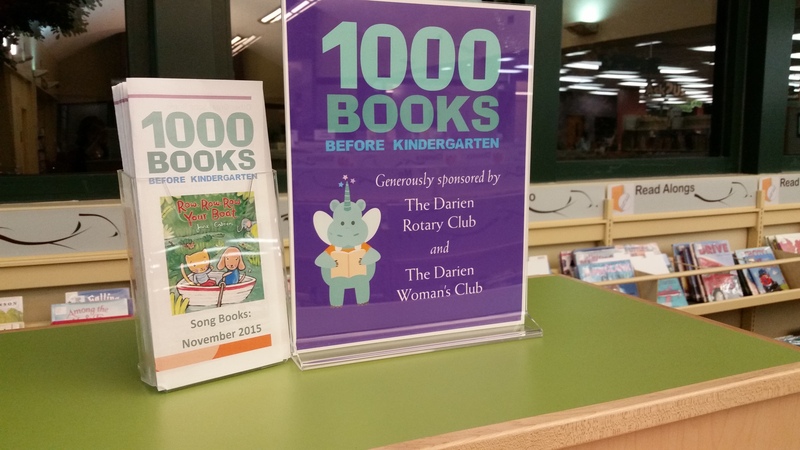 Play recorded music before storytime begins and afterwards during playtime. Change it up in storytime and sing a book. 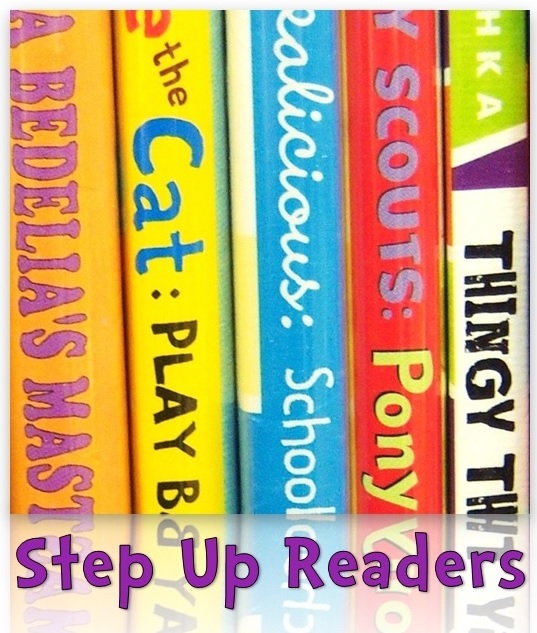 Some of my favorites are Jane Cabrera books, Brown Bear, Brown Bear to “Twinkle, Twinkle”, The Babies on the Busby Karen Katz, Every Little Thing by Cedella Marley, and If You’re a Monster and You Know It by Rebecca and Ed Emberley. Singing often breaks up the syllables in each word by assigning each syllable a different note like “Mary Had a Little Lamb” — we sing it “Mar-y had a lit-tle lamb” and that lets babies hear multiple syllables! It’s a great way to bond with your baby and also to calm them down. Make a lullaby part of your bedtime routine. 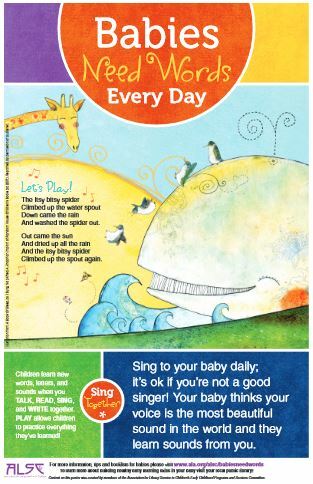 Songs have a different kind of vocabulary than talking or reading; think of nursery rhymes and the great words in them. Singing helps boost memory and attention in children. It can be a great way for a librarian to bring a crowd together during storytime or for a parent to get their child’s attention. Most important, singing is FUN. Some future plans for the Babies Need Words Every Day posters include hanging them up in our restrooms (pending administration approval! ), and finding new partners to share them with. I hope I’ve give you some ideas for embracing the Babies Need Words Every Day campaign and for getting started singing to your patrons. For more information about the Babies Need Words Every Day tour, visit the round-up at Reading With Red. Hooray for singing! My day is made if I’m in my office and I hear a kid break out into spontaneous songs. One of these days I should grab my uke and head out to sing along! Thank you for all the info/ideas!! !